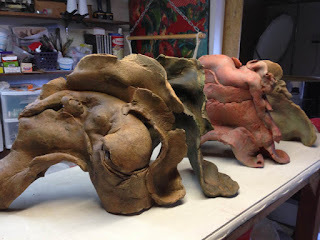 I just finished up a series of wave sculptures...some have horses within the wave and some have human forms. They are waiting for a photo session. My photographer will do the official photos, but I need an image so I can keep my files up to date. I saw them all lined up here and it made an interesting shot. 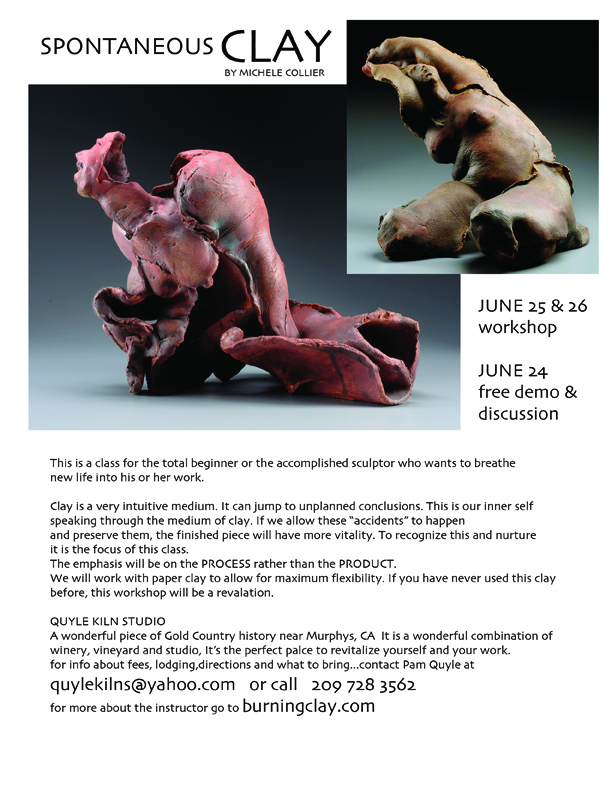 I am offering this to anyone who loves the way clay can express itself....beginners and old hands are all welcome. Email Pam Quyle (quylekilns!yahoo.com or myself (michele@burningclay.com) We will send the full info.